I’ve always loved the look of crazy-quilting, especially the luxurious designs by blogger Lisa Boni, of Ivory Blush Roses. Last year, I made a crazy-quilted cover for my sewing machine that was inspired by her work. I also created a crazy-quilted Bible cover for a dear friend, which I had a hard time giving away! I’ve been wanting a throw pillow for our bed, something that matches the comforter and ties the various colors together. So, I finally decided to make one that’s crazy-quilted. I searched Pinterest and found several gorgeous examples to draw on for inspiration. 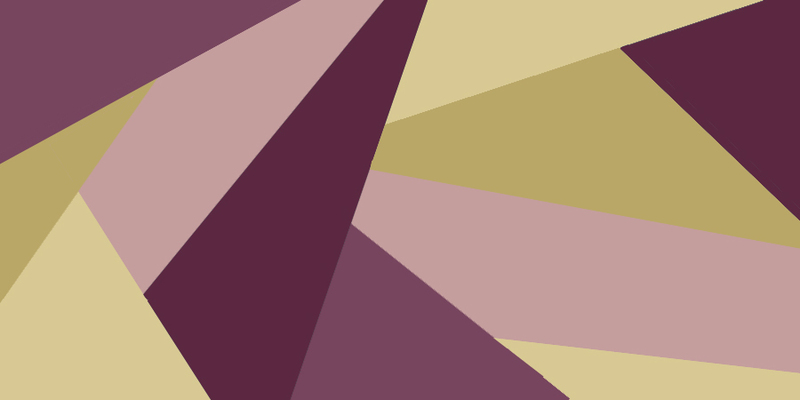 I wanted to use our current bedroom colors: dark plum, warm lavender, gold, and teal. 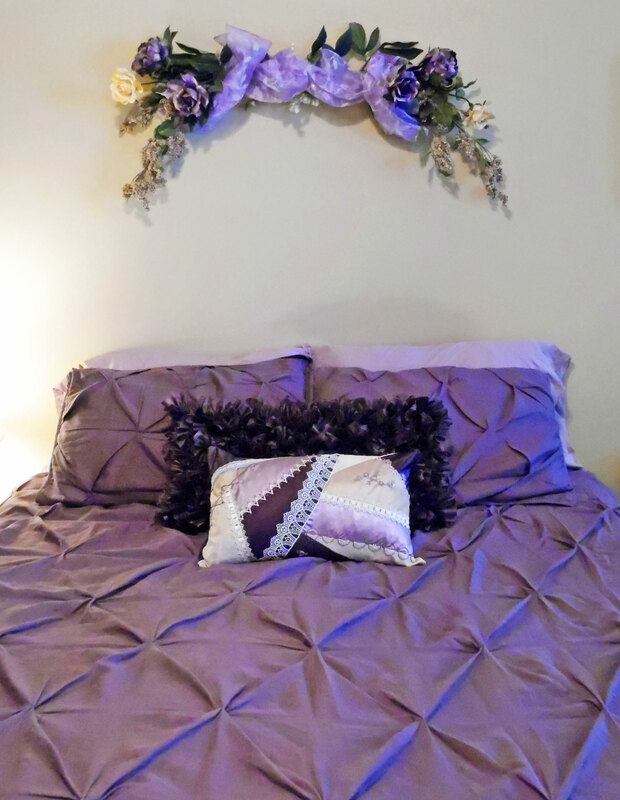 However, I didn’t have any fabrics in the right shade of teal, so the final pillow is purple, gold, and champagne, with accents of olive green. I like it well enough that I’m planning to change our bedroom’s color scheme! After going through my fabrics, I made up a sample of how I wanted the crazy-quilting to look. It uses formal fabrics, like satin and taffeta, along with delicate antique lace. Just for fun, I also did a sketch of how the embroidery might look. 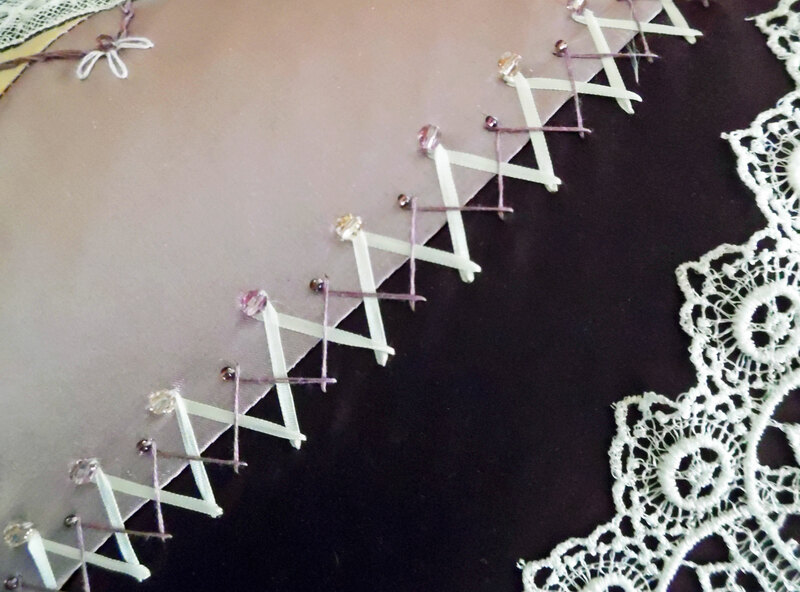 I knew the actual embellishing would look quite different, but I wanted a visual aid while I worked. Pillows are easy, so a pattern really isn’t necessary. I just measured the pillow form and cut two rectangles. For the quilting, I used my design sketch as a guide. 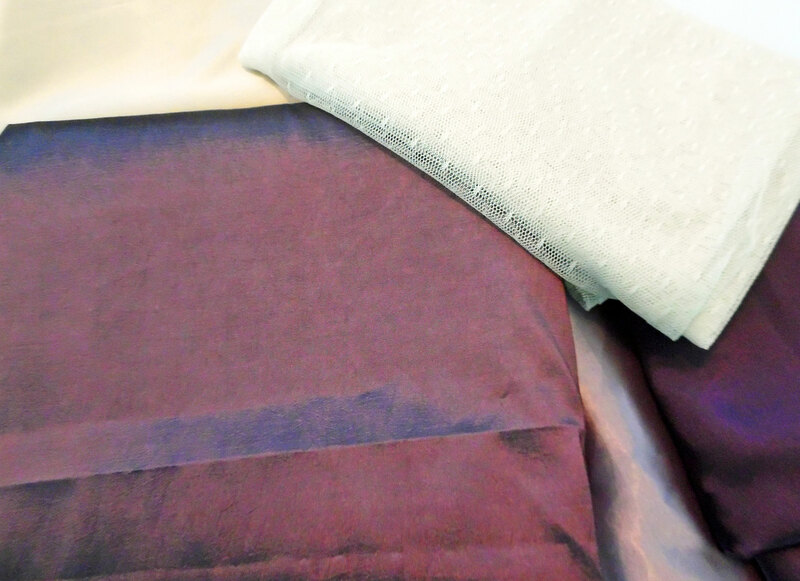 I went through my stash and gathered together a number of fabrics that matched my bedroom décor. I found a very thin satin in both lavender and dark purple, plus taffeta in dark purple and gold. 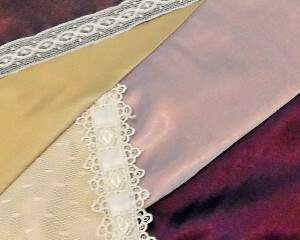 I also found a champagne-colored silk satin. 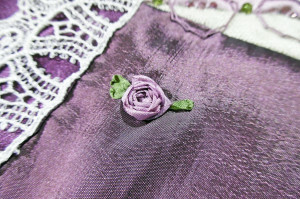 I picked out some cotton embroidery floss in shades of purple, lavender, and ecru, along with silk embroidery ribbon. I already had plenty of seed beads and Swarovski crystals in matching colors. I wouldn’t normally make a mockup of a pillow, but I wanted to be sure it would fit the pillow form. The pillow itself was pretty simple. I used a dark purple taffeta for the back of the pillow, as well as for some of the crazy-quilting. 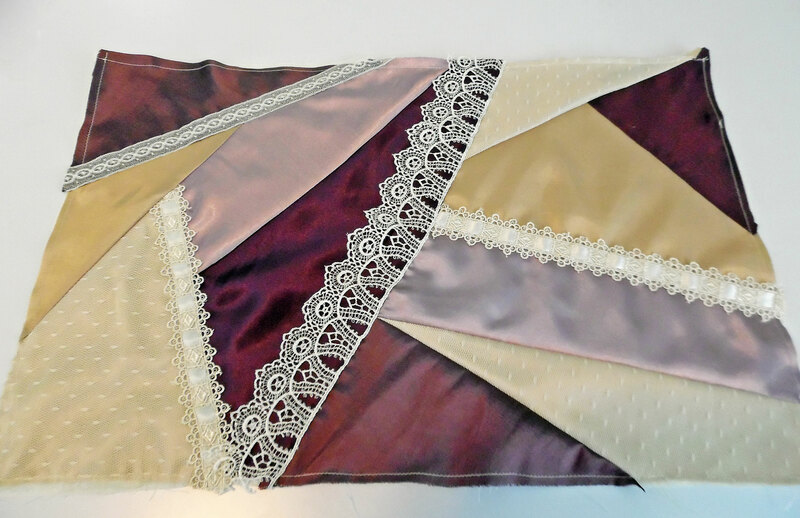 For the base of the crazy-quilting, I used unbleached muslin. It gets covered, so the color isn’t important—just the fact that it’s a sturdy fabric, capable of supporting all the quilted work and embroidery. You’ll notice the lace is already attached. 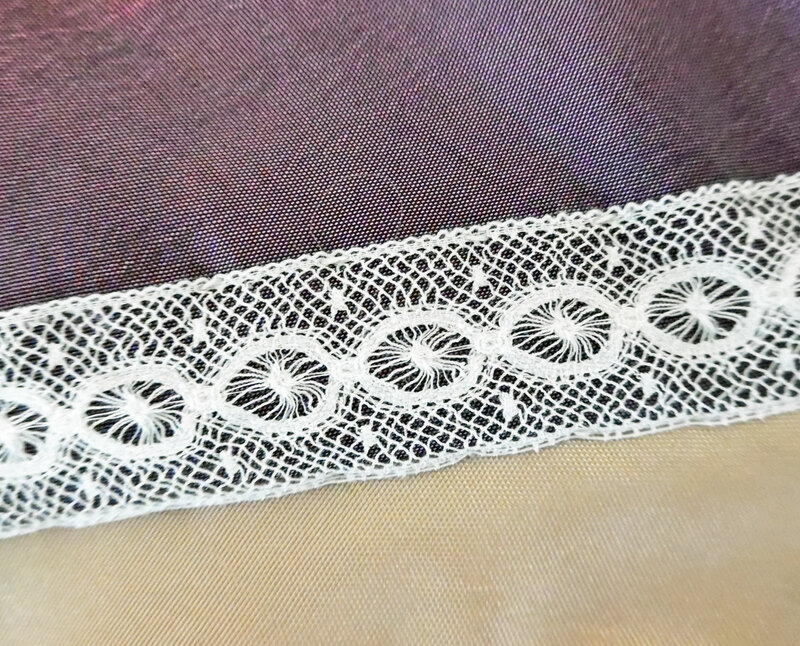 This is because I wanted the ends of the lace to be sandwiched between the layers for a clean finish. 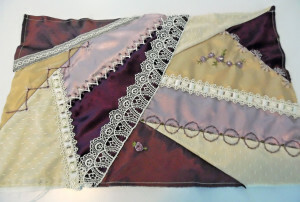 Once the quilting was done, I started embellishing. 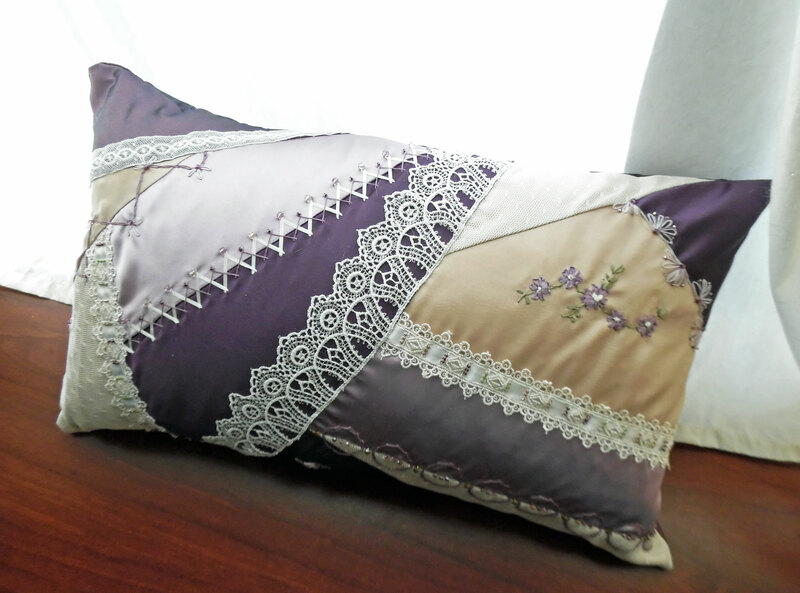 I wanted the pillow to have an old-world feel. Somewhat antique, but not too busy or old-fashioned. Something that would appeal to my modern sensibilities, as well as my romantic roots. 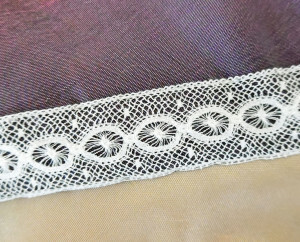 That’s why I used both antique lace and modern Venetian lace. 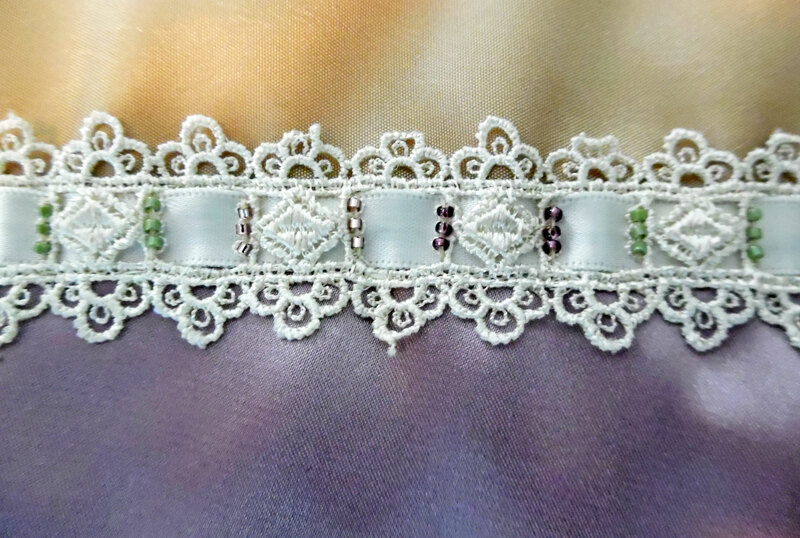 I added short columns of seed beads to both pieces of Venetian lace, alternating between purple, lavender, and olive green. 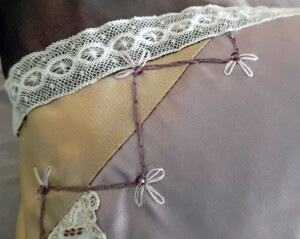 After consulting my book of embroidery stitches, I embroidered along most of the seams that weren’t already covered with lace. 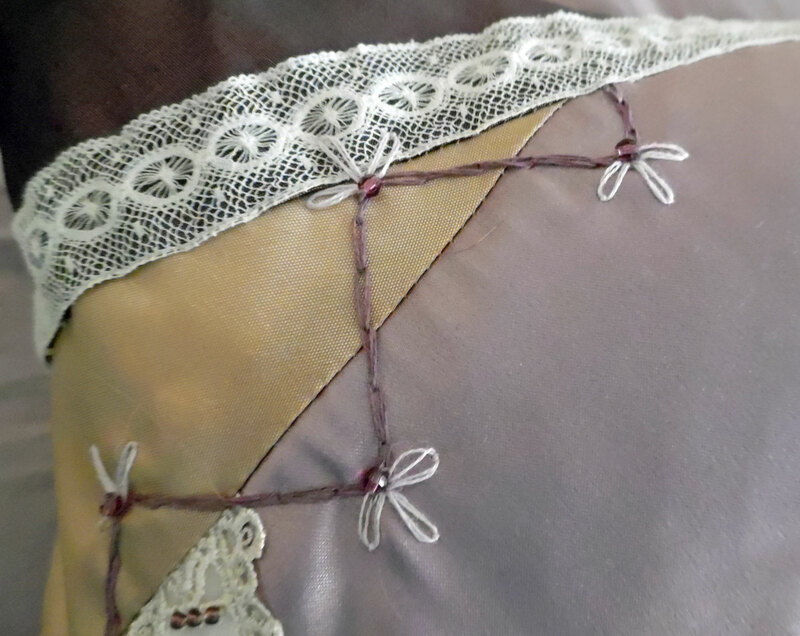 I used several different kinds of stitches, including a double herringbone stitch, where I alternated 2mm silk ribbon with embroidery floss. 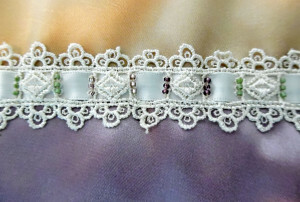 Along one edge of the herringbone stitching, I added Swarovski crystals and seed beads. I created a row of alternating lazy daisy fans, using both lavender and purple embroidery floss, plus seed beads and crystals. With embroidery floss, I created a row of chain-stitch circles. 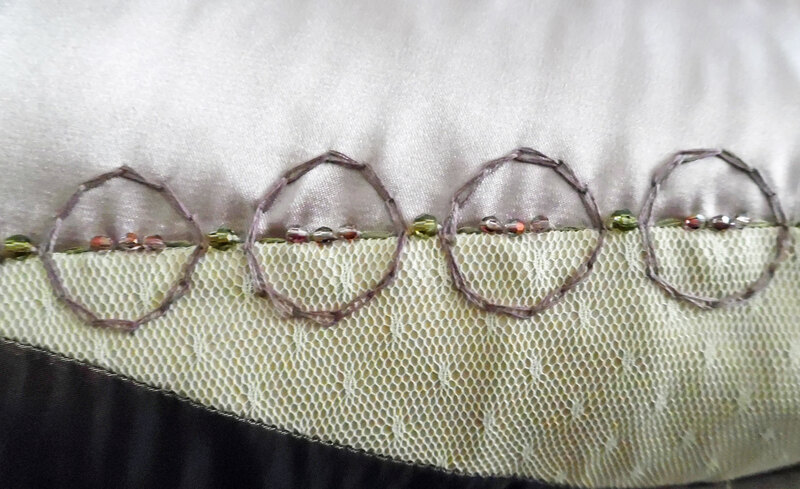 I used green silk ribbon to divide the circles with a dashed line down the center of the row. 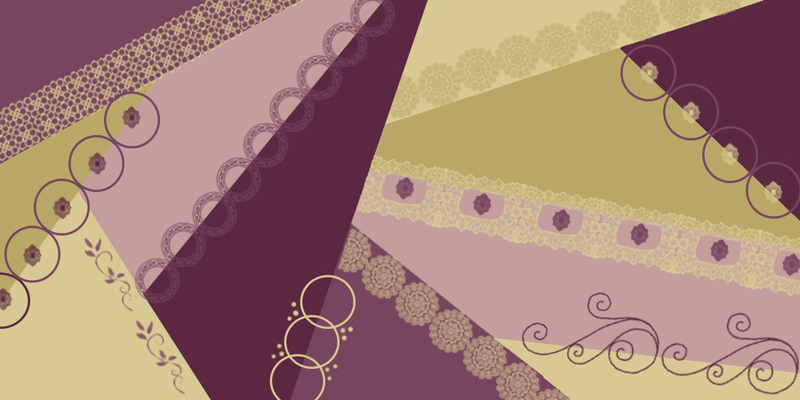 Three purple crystals accent the center of each circle, while olive crystals fill the gaps between circles. 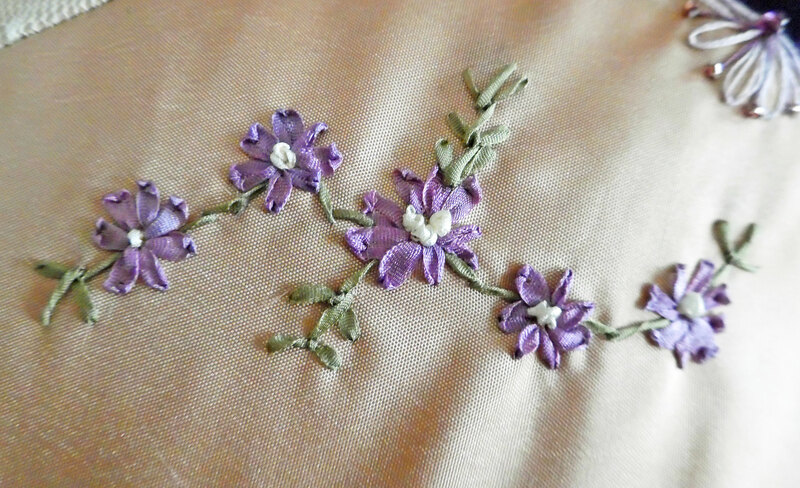 Using silk ribbon, I embroidered a floral motif in the center of one panel. 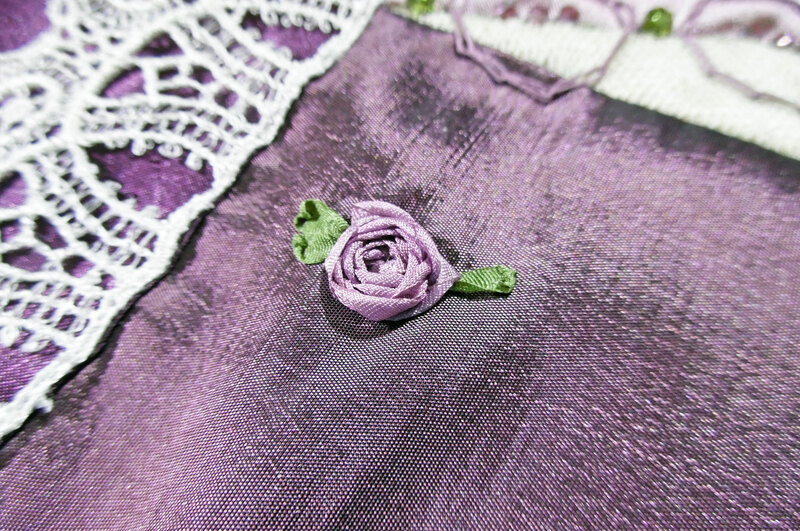 I also embroidered a silk ribbon rose in the middle of a panel, although I fear it looks lonely, all by itself! Along one edge, I embroidered a zigzagging chain-stitch, with lazy daisy flowers at each point. The flowers are accented with purple crystals. Here’s the completed pillow top, laid flat. 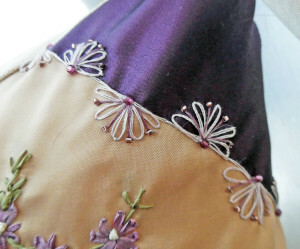 Once the embellishing was finished, I sewed the pillow top to the taffeta back piece, leaving a gap at one end, through which I stuffed the pillow. I hand-sewed the gap closed, using a slipstitch. I enjoyed piecing together the crazy-quilting—choosing just the right colors and seeing how they interact with each other. But as always, embellishing was my favorite part. The end result turned out far better than I could have imagined! It’s old-fashioned, yet extremely sophisticated and elegant. And it looks fabulous on my bed.